Sari village or Saari Gaon is the base camp for a very beautiful lake Deorial Tal which is only 2.5 kilometers away from here. It is at a height of 7800 feet. This road journey is very romantic which fall you in love with stunning mountains. It takes only one hour from Sari to reach Chopta by road. Many a times when all the hotels in Chopta are closed due to snow fall. So, you can use Sari as a base camp for your stay. You can easily find few lodges or home stays in Sari. 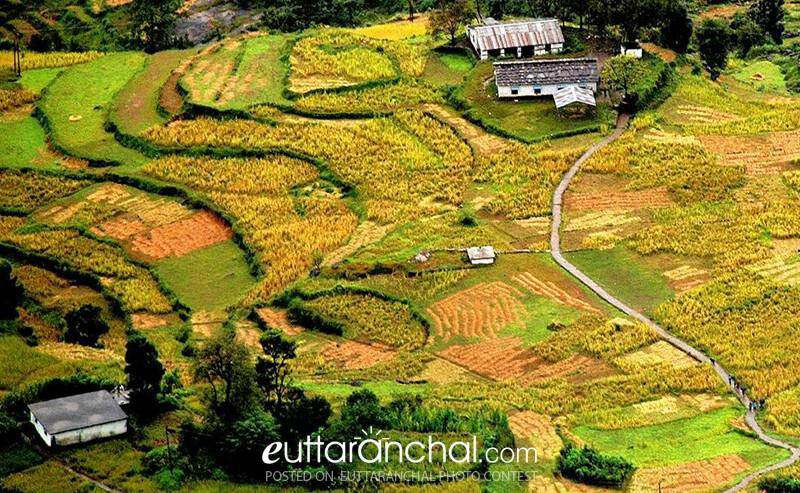 Sari village is located in Rudraprayag district near Ukhimath at a height of 6554 feet. The village is not near to any market. So don't forget to take all essential items with yourself. The Deoriatal Chandrashila summit trek is an easy-moderate trek. This trek has too many visual rewards for those stepping into the world of Himalayan trekking for the first time. Here you can see many species of birds, butterflies, colors of nature, Oak and Rhododendron trees. What is Sari Village famous for? Sari Village is famous among tourist as Trekking Base Camp. Sari Village is recommended destination for Couples, Family and Kids, Foreigners, Groups, Solo. Sari Village is popular destination for following activities/ interests - Base Camp (Trek), Village Tourism.